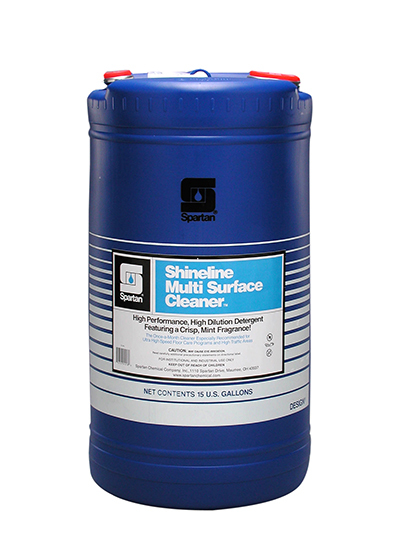 Shineline Multi Surface Cleaner is formulated for use on a variety of surfaces. Highly concentrated, Shineline Multi Surface Cleaner quickly penetrates and emulsifies both dry and greasy soils. Shineline Multi Surface Cleaner's high performance benefits make the product particularly effective as a top scrub for removing heavy or burnished-in soils commonly found in high traffic areas.